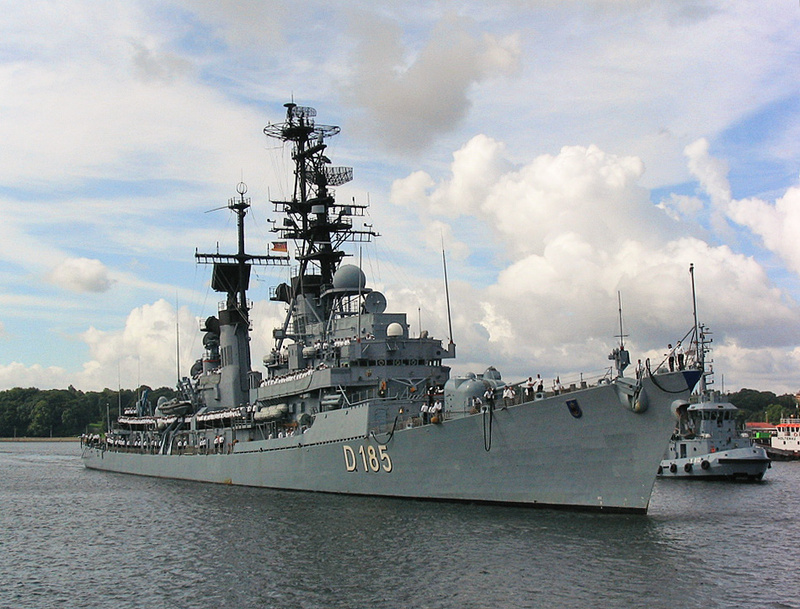 The German Navy is one of these institutions that passed through an exceptionally tumultuous history linked to the country’s creation, which began with the Prussians in the 1700s as the Preußische Marine, became the Reichsflotte in 1850, the North German Federal Navy until 1870, then the Kaiserliche Marine until 1919, the Reichmarine until 1933, then the Kriegsmarine until 1945, the German Mine Sweeping Administration until 1948, and with the decision to let Germany rearm inside NATO, the Bundesmarine from 1956 until 1990. It’s part of the Bundeswehr at large, the German federal army. Capitalizing on its ww2 expertise in submarines, Federal Germany built far more of this type for export than any other country to date German shipyards are in fact world champions in exporting conventional submarines, with more than 120 sold to 17 countries, on four continents. 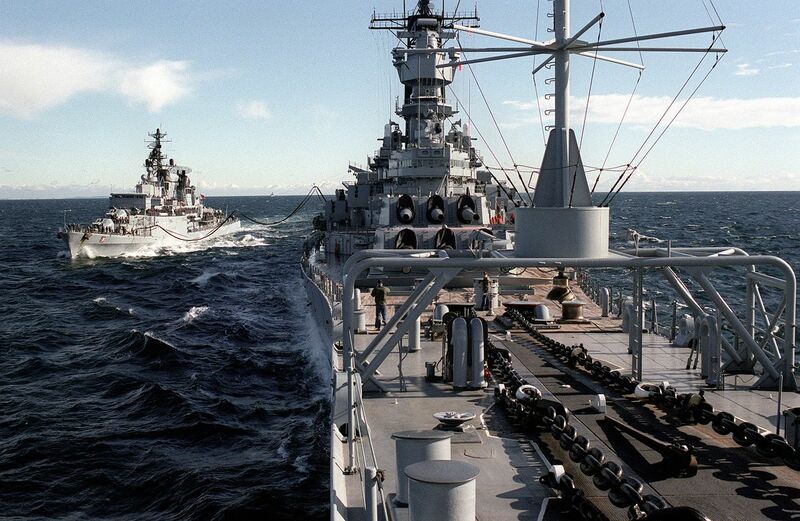 In comparison, the Bundesmarine had at all times in the cold war about 15 at sea. Here, the U-1 of the Type 205. Today the Marine is a shadow of its past self, especially the humongus Kaiserliches Marine that almost became the second world’s largest, compounded by NATO’s strict missions and policies for the Baltic and budget cuts following the end of the cold war. Nevertheless, what the Bundesmarine could not do in terms of domestic needs, more than compensated in exports, especially through the very successful line of diesel-eletric submarines, MEKO frigates, Lürssen’s FACs and numerous weaponry and detection, mine warfare systems which allowed the domestic German naval industry to punch well above its weight. 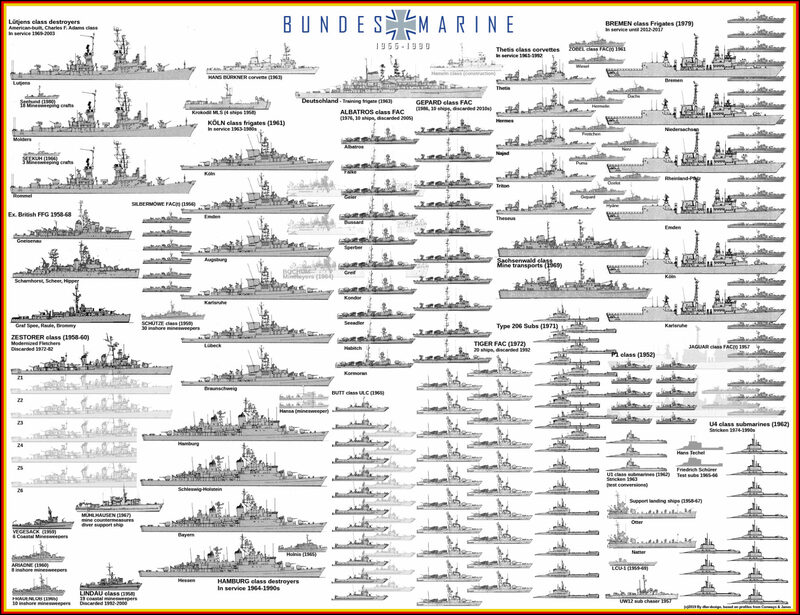 The Bundesmarine in 1990, an attempt to stack in the standard 50×65 cm format all types of ships used since 1955. 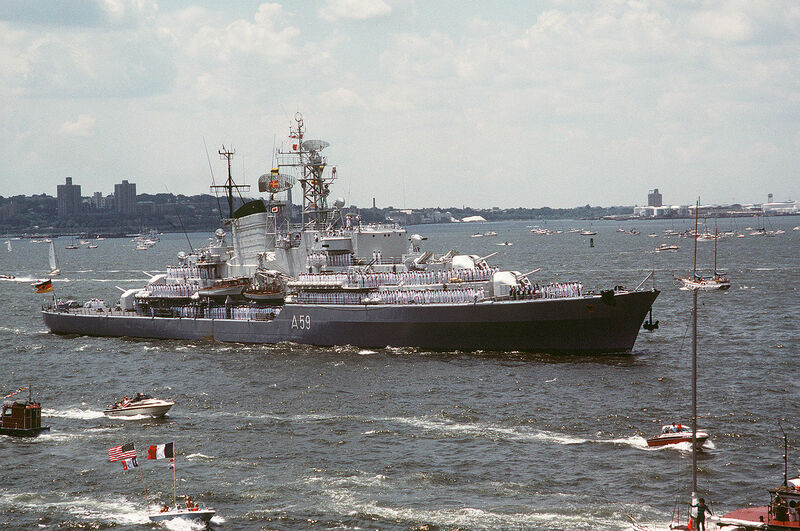 Before the fall of USSR and reunion with East Germany, the Bundesmarine reached its zenith, with seven destroyers (Four Hamburg and three Lutjens class), thirteen frigates (Köln and Bremen class), one more being completed, a destroyer-size training ship (Deutschland), 23 submarines, six corvettes, 40 FACs, and a hundred miscellaneous ships, from mine transport to mine warfare, landing and support ships. 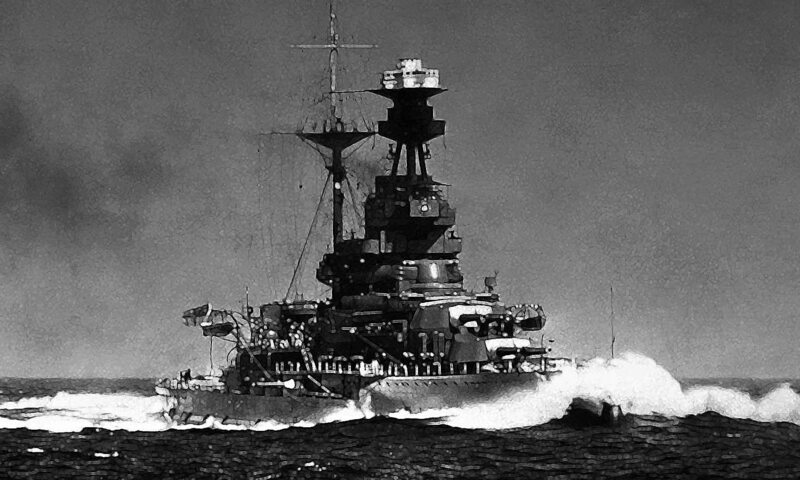 Certainly, the minesweepers fleet aligned at that time was arguably one of the best and largest worldwide. Mines in the shallow waters of the baltic has been a hinderance, having been largely used during WW2 by several belligerents and even neutrals like Sweden, to the point mine warfare was ongoing until the 1960s through a specific organization that preceded the Bundesmarine. Germany became NATO’s specialist of mine warfare. Baltic sea lanes were officially “cleaned” of all threat quite late indeed and it’s not rare even to this day ww2 era deriving mines are found and neutralized in these waters. Most people would assume a new German Navy was built right when the cold war flared up in 1947. But for some time, rearming Germany was seen as quite an issue in Europe until realpolitik, facing Eastern ambitions and postures readily imposed it. 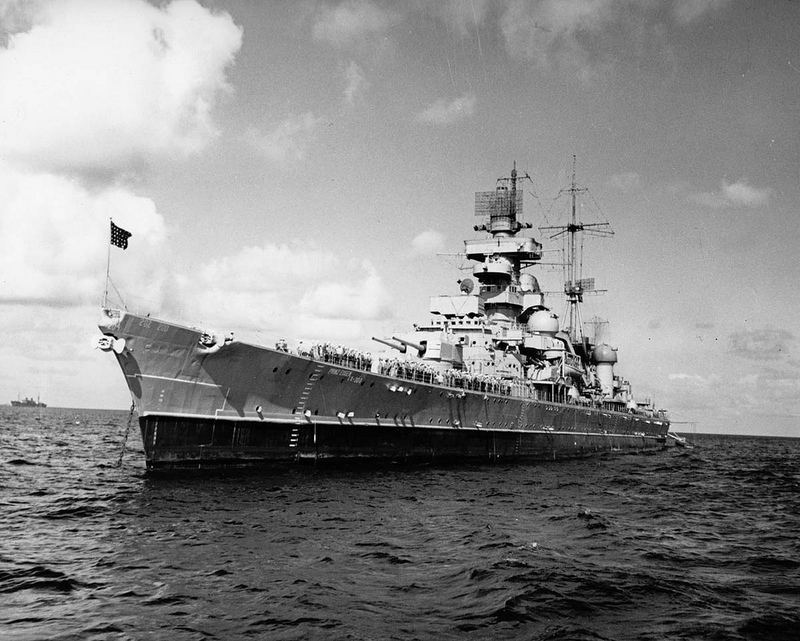 In 1945 the Kriegsmarine had to surrender unconditionally. In fact, Admiral Dönitz was the last Reich’s legitimate, designated as such by Hitler, head of state, which signed the capitulation almost as his first act. After peace in Europe was signed, a question soon arose about the fate of surviving Kriegsmarine ships, including a large fleet of state-of-the art U-Bootes. USSR was adamant right from the start about obtaining half of this lot. Fact is indeed, that the Soviet Navy had suffered badly during the war, loosing most of its surface fleet without wartime replacements. In addition, both the US and Great Britain did not saw the use of German war prizes other than for reverse-engineering some innovative submarines. After Postdam was signed, a third of the fleet was eventually allocated to the USSR, the remainder being distributed among allied Nations. Shipping was placed under a common organism, the Combined Shipping and Adjustment Board and United Maritime Authority, when the war was still ongoing with Japan. There was a concern the Germans would keep a substantial coastal and riverine force to help them clear waterways to traffic and regenerate industry after the war, in views of the Marshall plan. For detailed postwar attributions, see each respective navy. KMS Admiral Hipper captured at Kiel in 1945. Extensive minefields in existence soon also rose also as a major issue. Clearing sea lanes and help local countries to trade and recuperate was a priority alongside the Marshall plan. As soon as June 1945 the Berlin declaration charged Germany of this task. Therefore not only a new organization was soon set up, but it was allocated all means in ships, materials and men as possible. The GMSA at its peak counted 755 active vessels, including 440 ex-German Kriegsmarine minesweepers, and many converted trawlers and auxiliaries. Personal coumprised mainly ex-Kriegsmarine sailors including some nazi officers, in total 16,000 men under the supervision of British officers. This was seen as a necessary evil in a transition phase. German M-Boote being demilitarized at Kiel in 1949. 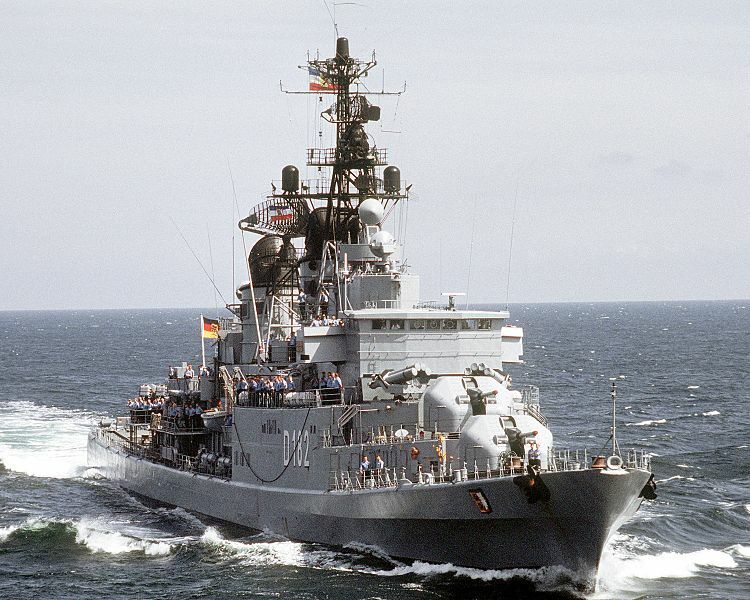 These were by far the most common German navy ships in service during the first decade postwar (440, including many R-Boote) with the ingrate and dangerous task to clear the Baltic and north sea coast of minefields of several nationalities. Over the years they will clear up effectively some 580,000 mines. In 1947, the GMSA was disbanded and replaced by the minesweeping unit of the Customs inspection based in Cuxhaven, dependent of the British FIS (Frontier inspection Service) attached to the Royal Navy, which went on its minesweeping tasks until being disbanded in 1951. By March of the same year a new German independent organism called the German Frontier Inspection Authority replaced it, including in addition to the last fleet, four new patrol boats, three fast attack crafts (Former S-Boote), ten converted trawlers supported by a tanker, a tug two tenders, and small crafts. This embryo of a Navy coincided with the creation of the Federal Republic. despite this political step, the renaissance of a fully-fledged navy capable of taking of at least part of the Soviet naval might in the area followed a long and arduous path. In 1949 already they were talks of rearming Germany, which proceeded faster than the naval arm. Only by May 1955 Germany was integrated into NATO and on 7 June 1955 the new federal defence ministry was created, and its first order dated from 1st January 1956 was to create a naval instruction division, first step for a larger scale naval force. This new organism that replaced the FIA started with just four officers, 24 NCOs, and 140 ratings. BMS Deutschland (A69) probably the most famous ship of the Bundesmarine in the cold war, symbol of its renaissance, here in New York. Started in 1957 as a multi-purpose ship able to perform other missions in wartime, she was built at Nobiskrug, Rendsburg and launched in November 1960, only decommissioned in June 1990. The new force counted in addition to the former ships, ten patrol boats, six MMs boats while many older ships were discarded. 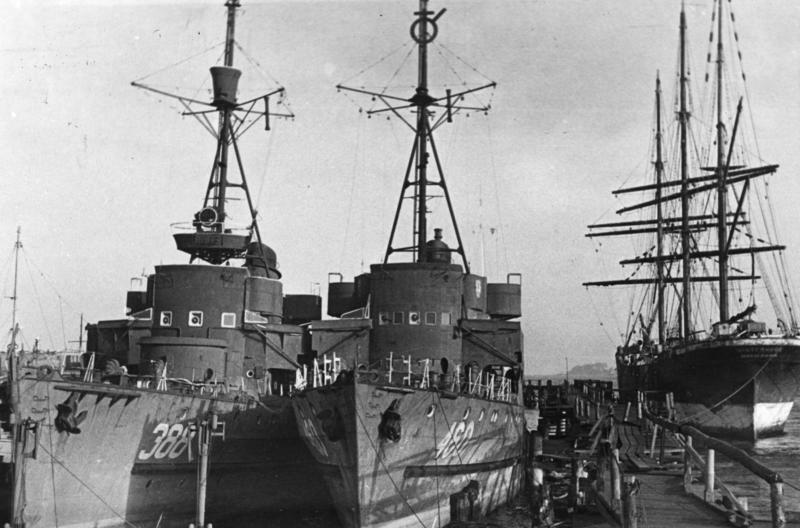 To meet new requirements as soon as personal was trained and available, ships were obtained by various sources: Some ex-war prizes were returned, and US and British ships obtained, in particular, 6 frigates and 6 destroyers whereas 14 landing ships were purchased. The 1950 naval projection plan asked for 12 large attack crafts, 36 MTBs, 24 submarines, 12 ASW escorts, 36 LSIs, 36 minehunters, 12 sub-chasers, 36 patrol boats, 24 minesweepers and a support fleet plus a cover of 114 naval planes, mostly patrollers. Of course, it was difficult in the fifties for the new fledgling fleet to manage the great diversity of her ships, maintenance and supply-wise, despite support from allied partners. Time for the German industry and naval yards to catch-up. In effect, the Bundestag ratified the first naval expansion plan in May 1956, followed by another in 1958, and a third in 1960, which included domestic constructions in larger numbers. This programme enforced in 1961 was to comprise 12 destroyers, 6 frigates, 40 MTBs (future FACs), 12 submarines, 52 minesweepers and 120 auxiliaries plus 58 naval planes. 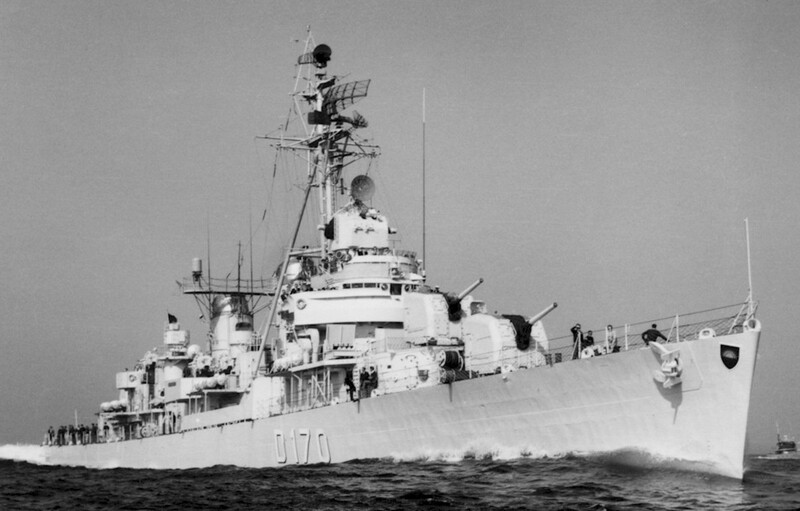 Although technically American-built, modernized copies of the well-known Charles F Adams class (1958), the Lutjens, Molders and Rommel (Type 103 DD) launched at Bath Iron Works in 1967-69 formed the “AA division” of German destroyers during the cold war, whereas the German-built Hamburg class (Type 101) were more anti-ship/ASW oriented. All three were deactivated well after the end of the cold war, in 1998 and 2008 for the last two. 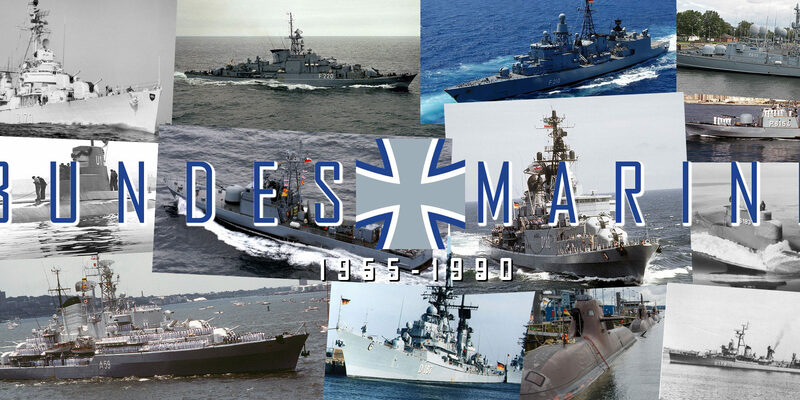 In 1965 the Bundesmarine took its final cold war shape for the 25 years to come, with six Type 119 and four Type 101 destroyers, six Type 120 frigates, 50 FACs of various types, 30 submarines and 60 minesweepers of various types plus many tenders, tankers and training ships. In fact, only part of the plan was concluded (like the cancellation of the six landing ships), although increases took place, in particular for FACs. In the 1970s the Bundesmarine was integrated in the North Atlantic command (STANAVFORLANT) and in the 1990s even in the Mediterranean standing force, in addition to the Channel force. 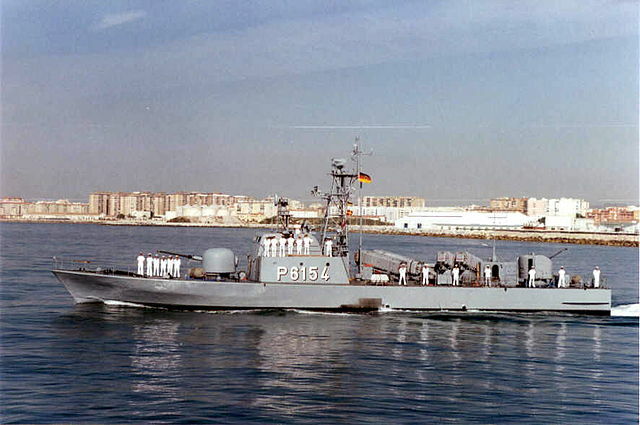 Lürssen-built S71 class Gepard (1981) armed with MM38 exocet missiles. 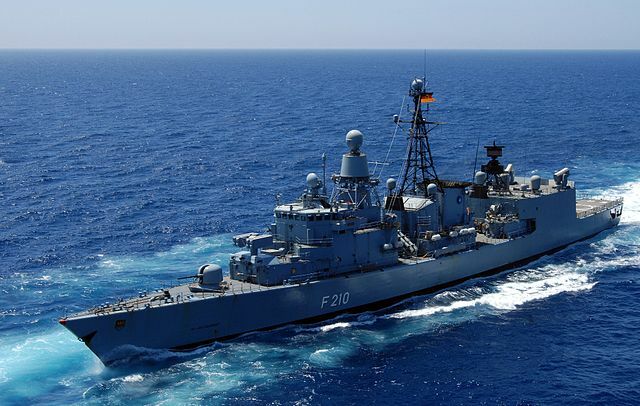 Within NATO, the Bundesmarine was to operate under a “forward defence” doctrine and multiplied bi- and multi-national naval exercises, especially in the 1980s as the cold war heated again. The goal of these combined operations was to maintain a high degree of standardization in practices in the most likely scenario of combined operations in the Baltic, and the North sea entrance as the Soviet North sea could have been poised to join the Baltic fleet. As for standards, the fleet used diesel-electric scheme (CODOG) with considerable expertise dating back from the Kriegsmarine days, and used NATO armaments like the French 100mm/55 or Italian 76mm/62 OTO Melara system, and US Missiles. In addition to minesweepers, all German ships could carry mines and are equipped and trained for the task if the need arose. 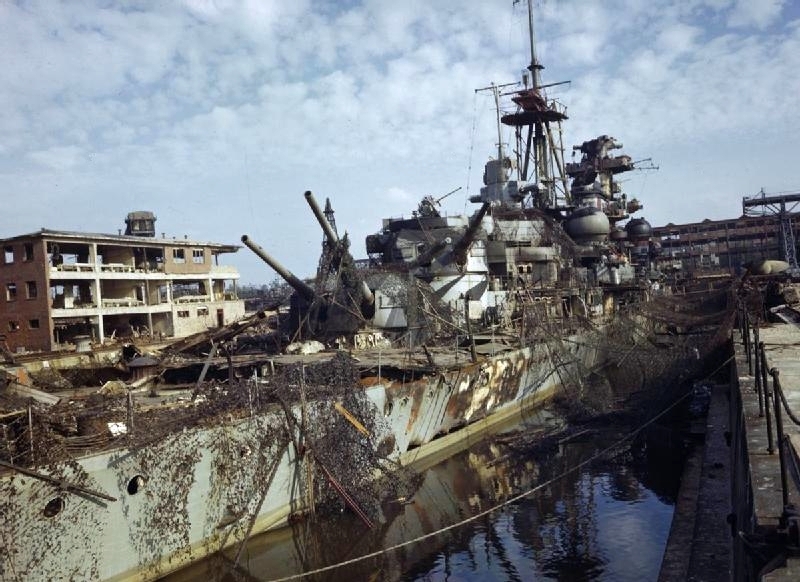 With the war, all major shipyards and facilities has been comprehensively destroyed, either by allied bombings, or willfull sabotage and destructions by orders of Hitler himself in 1945 in his radical “scorched earth” policy. In short, there was no industry capable of undertaking the building of domestic ships for years, at least until the mid-1950s for small ships, and gradually the industrial network was renewed, with as main objective, to secure the building of a commercial fleet, before any military venture. However in 1953 already, the reputed yard of Lürssen werft was authorized to launch the Plejad class FACs for the Swedish Navy, in order to sharpen its skills. The yard would delivered more than fifty other exports and the Jaguar-class for the Bundesmarine. Lürssen designs became extremely successful and many licence were also granted, not counting boats assembly kits and later upgrades. Another yard that emerged was Abeking & Rassmussen, which provided R-Boats types early on for Indonesia. It was not hard to capitalize on older blueprints, and Brazil received some as well, whereas the Schütze-class minesweepers were delivered for the BDM. This lineage went on with the successful SAR serie, like the SAR-33 for Turkey. A large, old and famous yard that was wrecked by the war will be also rapidly recovered and modernized. It was the only one with large drydocks and basins able to built and deliver all sizes of warships. They will finance a considerable amount of R&D which will benefit in the end of the BDR with modern Frigates, thanks to the export market. One name stood alone in this: MEKO. These frigates, highly modular, became another tremendous commercial success, with Frigates built Nigeria, Argentina, Turkey and many others. The very modular design of the MEKO family of frigates helped the German Industry to export far more of these ships than those in service with the BDR: Whereas 56 has been built (or in completion) for the export Market, only 16 were delivered for the BDR, all after the cold war. The MEKO family started in 1981 and really stepped-up after the end of the cold war. It’s a winning formula à la carte, that has never been surpassed in Europe. The old Howaldswerke-Deutche Werft from Kiel was also modernized and concentrated rather on the large FS1500 Corvettes, but will also design German submarines, in particular under supervision of Prof. Gabler of the IKL of Lübeck. The 205, 207, 209 and following have all found dozens of customers. Oddly enough, there were limits still imposed on tonnage, that were lifted in 1980s, allowing Germany to built larger models for India (SSK 1500) or the TR 1400/1700 for Argentina. In the 2010s, proud of this expertise, the yard promoted the image of the “world’s quieter submarine”, using the latest advances in construction also seen on the new generation of SNA/SSBN in the 1990s. Added to this, many smaller yards also produced dozens of patrol boats, mainly for export. This was all due to the well-cultivated image of excellence of German engineering. 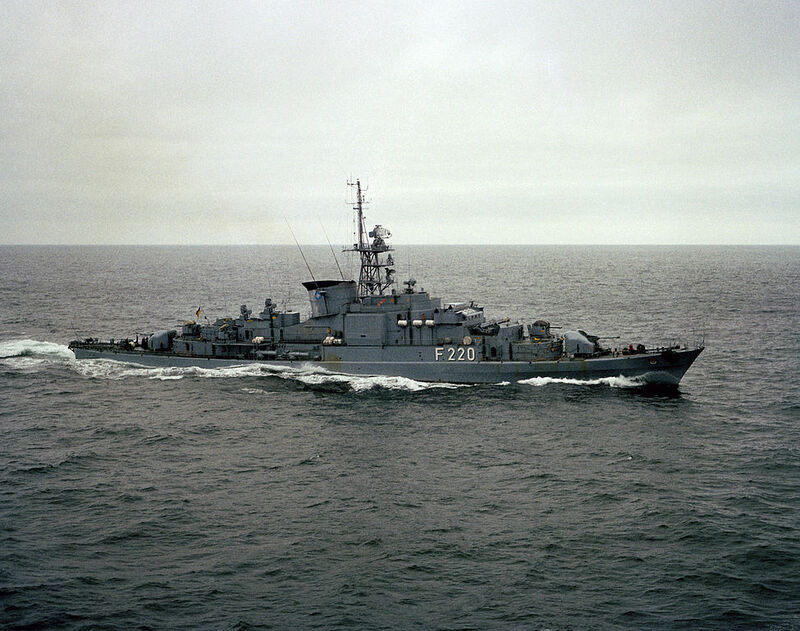 From its original integration wihin NATO, The BundesMarine had a mission of coastal defense and Baltic operations and cooperation in sea-control operations in the North Sea. This mission rose to a new level in 1980 when West Germany lifted self-imposed restrictions on naval operations, north of 616 parallel. German control of the western Baltic and its approaches was integrated into the main NATO scheme of naval battles in the North Atlantic, in coordinations with operations in central Europe. The Warsaw Pact forces coukd stilloutflank allied land forces by attempting a massive amphibious assault in Germany and split their advancing forces in two and capture main NATO Danish and German air bases. They can also close the Denmark strait and secure the Baltic to ensure the success of the Soviet North Fleet with an isolated and virtuallt surrounded Germany. In accordance to the Protocol III of the October 1954 Paris Agreements, combat surface vessels over 3,000 tons and submarines of over 350 tons were forbidden, as well as any class of fighting ships nuclear-propelled. However there was the exception of 8 antimissile destroyers of 6,000 tons each and 6 submarines of about 1,000 tons. For these indeed these restrictions were lifted, tonnage granted for destroyers authorized up to 6,000 tons, and more than 1000 for submarines to authorize the purchase. In 1980, revising the Paris Agreements was an ongoing process, as in September 1973 already submarines were authorized with a tonnage of 1,800 tons. But the last barrier fell when in July 1980, all limitations were lifted altogether. The Bundesmarine then started to rebuilt the will and capabilities to better secure control of the Baltic. In the 1980s, despite budget constraints they claimed this capability trhough a new generation of ships and structure. To control the Norwegian waterways a German mission was created, but associated with NATO’s blue water navies, to assert naval superiority, protect reinforcement and supplies, as well as ASW and mine warfare. The German Navy developed and maintained for this area a mixed force of destroyers and frigates, submarines, plus long range maritime patrol aircraft and auxiliary ships to ensure the German North Sea SLOC terminals remained open. Strategy for this area was dependent on other European navies and the USN carrier battle group (CVBG) operations. In 1980 the new commander of the Bundesmarine Vice Admiral A. Betge announced new plans for the Bundesmarine that “should be ready for such a development of events which would force the Western industrial nations to ensure an organized naval presence in those areas which ordinarily are not included in the sphere of operations of NATO. 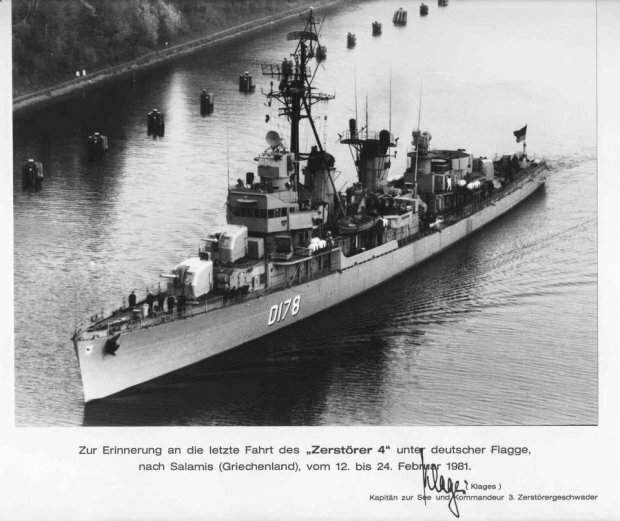 By 1980 at least 10 destroyers and frigates needed replacement and therefore the construction of six Bremen-class frigates with an option for two more was started. German FACs also needed upgrades, as the 40 in service dated back from the 1960s. Therefore 10 Type-143A vessels were started in 1980. 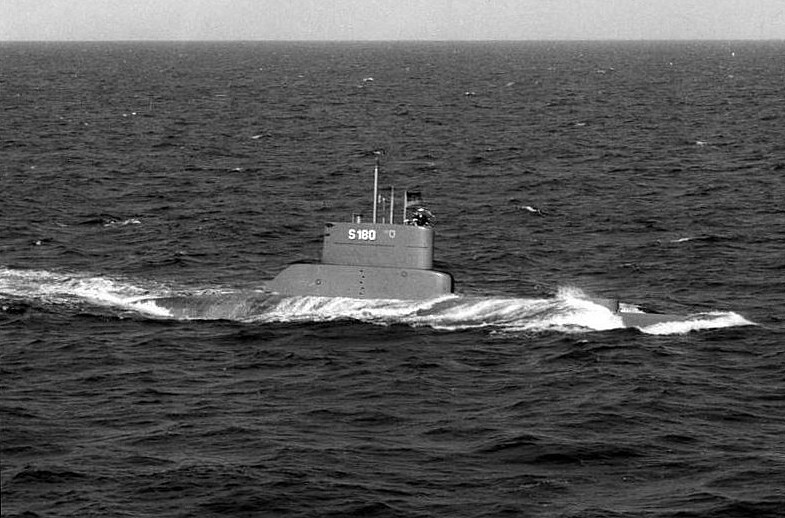 The submarine force comprised 25 U-boats through the construction of the Type-210 submarine also needed replacement. 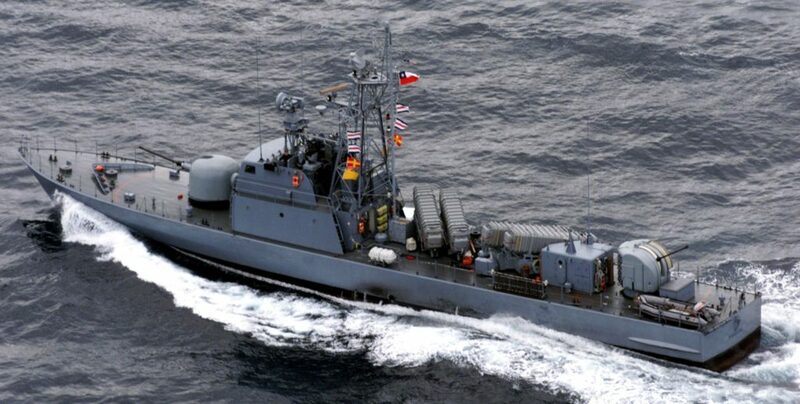 The 18 coastal minesweepers were updated, converted as minehunters and control ships for “Troika” drone minesweepers. There was no minelaying force however, as it was seen as aggressive. 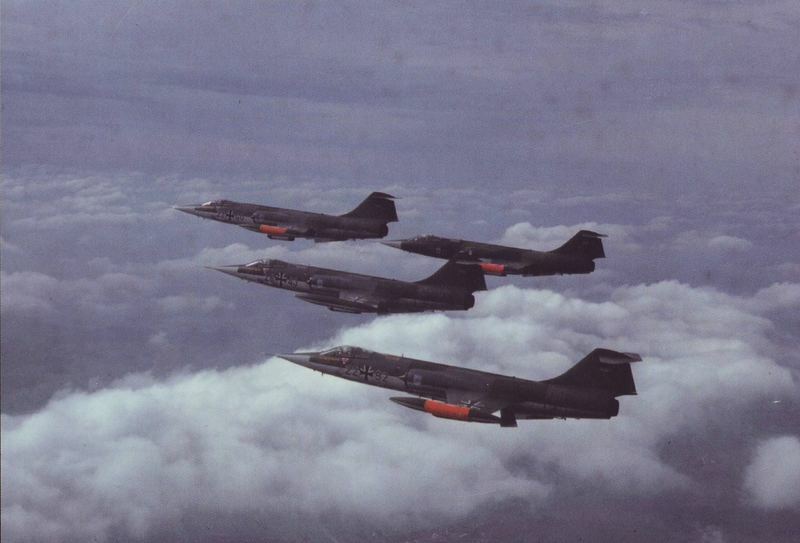 The two squadrons of F-104 fighter bombers were aptly replaced by Tornados, while the North Atlantic maritime patrol aircraft park underwent comprehensive modernization of their weaponry and sensors. With the Soviet invasion of Afghanistan the Bundesmarine took a greater part in the Norwegian Sea operations. But it was clear to anyone at NATO that the commitment of three US CVBGs were critical for this area. Because of USN redeployments (notably in the Mediterranean) a critical delaying role was to be played by European navies, waiting for reinforcements notably through minelaying actions. The Bundesmarine played her role in this expansionist naval policy, but by weakening her Baltic commitment. Tiger class Elster FAC (P6154). Marineflieger F104G in formation. They can carry and operate the Exocet missile. The Marineflieger is the naval air arm of the Bundesmarine. while during ww1 it was part of the Kaiserliche Marine, the interwar Seeflieger was absorbed by the Luftwaffe in 1935. The abandon of the Graf Zeppelin and reluctance of the Luftwaffe over the matter eventually made the Seeflieger redundant and eliminated in 1943. Anti-ship warfare missions were now all transferred to the Luftwaffe. From 1955 within NATO and the creation of the Bundesmarine, the Marineflieger was created under some preventions but recoignizing the need of a dedicated air cover, in particular over long range areas in the context of a possible attack in the baltic or from the Northern fleet off Norway. The Marineflieger Command was responsible for five squadrons, operating nearly 200 aircraft and helicopters. This comprised a force of 121 fighter bombers (of the F104G Starfighter type) but also British-buuilt Hawker Sea Hawks Mk100/101s, and from 1980 the Panavia Tornado. Helicopters were of the Saunders Roe Skeeter and Bristol 171 Sycamore 52 at first, and later the Sikorsky H-34G, Westland Mk41 Sea King and Westland Mk88 Sea Lynx used for SAR and ASW missions. SAR missions however were mostly performed by the Grumman HU-16 Albatross. Martime Patrols, depending of the range required, could be performed either by the Fairey Gannet AS Mk4, the Dassault-Breguet BR1150 Atlantique, or the Lockheed P-3 Orion. The Transport branch took delivery of the locally-built Dornier Do-27, Hunting Percival Pembroke C. 54, Dornier Do-28 D2 Skyservant and Dornier Do-228 LM aircraft. Z4 (D 178) in 1981, through the Kiel canal, on her way to be sold to Greece. The four remaining ships were under leasing but has been bought by the Federal German Navy in 1976. 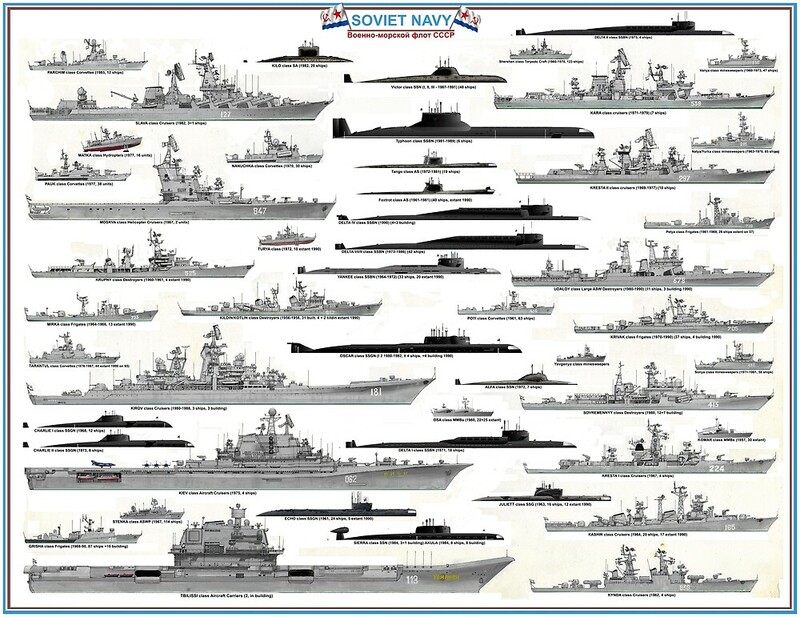 Support Naval Encyclopedia and get your poster or wallpaper now !